Cannons sometimes have a mind of their own in Sea of Thieves -- at least, they did. 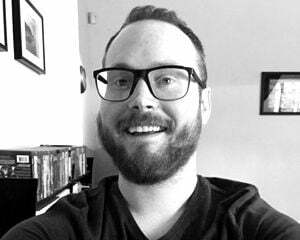 With today's update, Rare fixed an irksome bug that occasionally caused players to "travel in unintended directions" when fired out of cannons, as well as a similar issue that led "muffled cannon audio to persist." That said, we're in the middle of the Cursed Sails event, so it's the main priority for this patch. If you're determined to track down and sink all of the skeleton crews, you should have a smoother experience going forward. 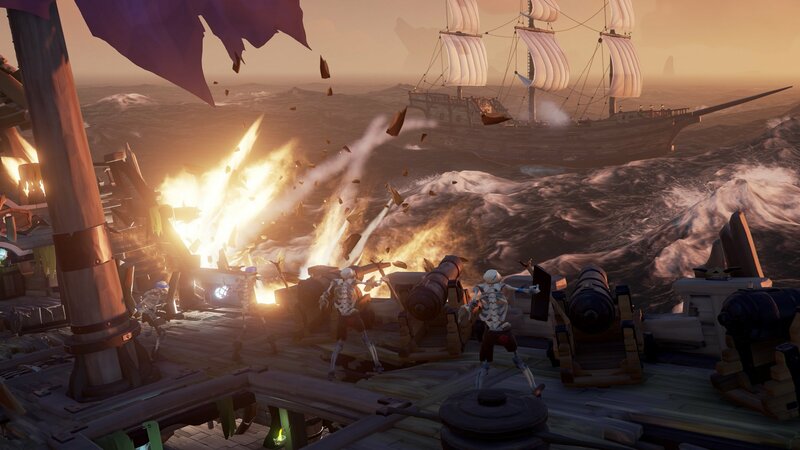 Rare is altering the ship spawn schedule each week so that if you're only able to play Sea of Thieves during a certain time of day, you'll be able to face different skeleton crews. Building on that fan-suggested change, the studio has also made it easier to rematch AI ships and loot them. You'll have more time to get back into a skirmish if your ship sinks, and once you prevail (I believe in you! ), your crew won't feel quite so rushed to collect loot before the next challenger appears. Cursed Sails Battle Times - Players who can only play during fixed times will be able to battle for a different region each week. For example, if this week your fixed playtime only allows you to encounter The Battle for the Shores of Plenty, next week you will encounter The Great Battle of the Ancient Isles during the same fixed playtime. Cursed Sails Battle Encounter Indicator - Battle music can now be heard from greater distances. Additionally, the flow when UI banners appear and music plays has been improved. Cursed Sails Resources - Treasure items and Barrels of Plenty will now float for longer. This allows greater opportunity to find resources and treasures mid-battle. Cursed Sails Battle Cooldown - The timer between battles has been extended to give players a chance to collect loot dropped by defeating the skeleton crews. Cursed Sails Battle Despawn - The battle despawn timer has been increased, which will give sunk crews a greater chance to sail back and continue the battle they started. Skeleton Ship VFX - Improvements have been made to VFX of water splashes when skeleton ships emerge. Players speaking to a Gold Hoarder NPC at an Outpost will no longer incorrectly receive "The Hungering Deep Begins" banners. The Kraken has been temporarily disabled due to performance issues. We are working to enable this feature as quickly as possible.